In 1975, The O’ Jays said that we should “give the people what they want!” Forty years later, I will channel this popular R&B/Philly Soul song and list some more second-hand shops in Budapest. I have rowed a boat in the Grand Canal of Versailles, hiked a mountain with a cowboy in Slovakia, and been a few feet from the Pope. 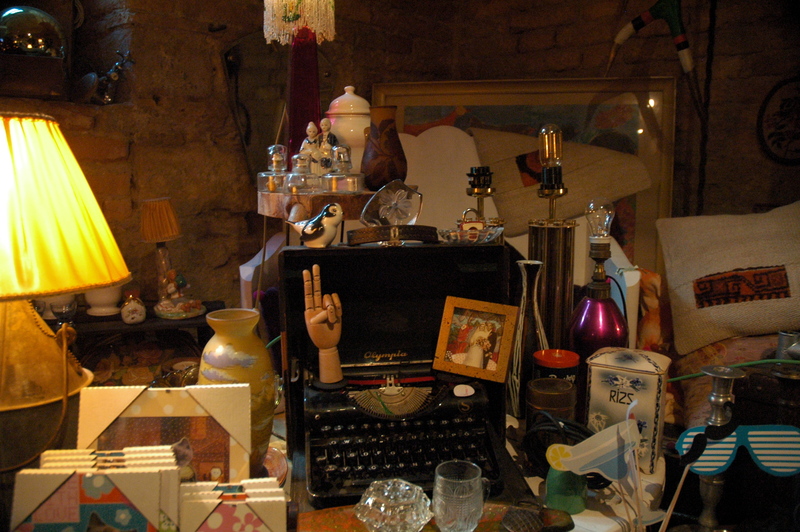 Out of all of my blog posts, the one about shops in Budapest has been the most popular. There’s no shame in the game, fellow shoppers. Today I ventured around with my good friend Jolan. Prior to getting information and taking pictures for you all, we ate South Slavic cuisine at Pola Pola. 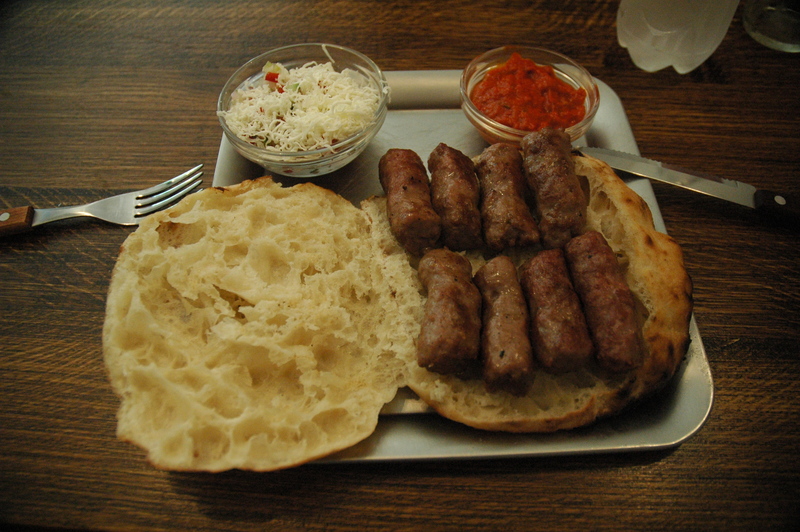 While in Bosnia and Herzegovina during the spring holiday, we fell in love with ćevapčići/ćevapi (minced meat sausages served with flatbread). If you have not had this dish and do not have the opportunity to visit the Balkans, try it here! Onions were included, but I quickly threw them at Jolan. Opening Hours: (Dohány) Monday – Saturday: 10:00 – 20:00. Sunday: 10:00 – 18:00. (Király) Monday – Saturday: 11:00 – 21:00. 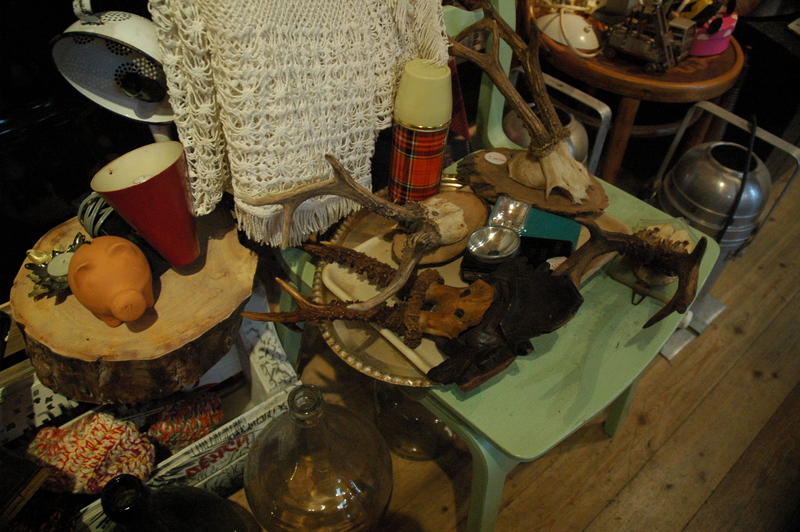 I first discovered this vintage shop with my friend Beck back in December. Half of the store has cool, thrift pieces while the other half has new contemporary articles (including bags and jewellery) made by various designers. Truth be told, I have never purchased anything from this shop. I have, however, found a lot of things that I really liked. “You will never be invisible!” is Szputnyik’s slogan. In December I saw a pair of boots made of what looked like fake blond poodle hair. With those boots there is no way you won’t be the talk of the town. I guess their slogan is right. 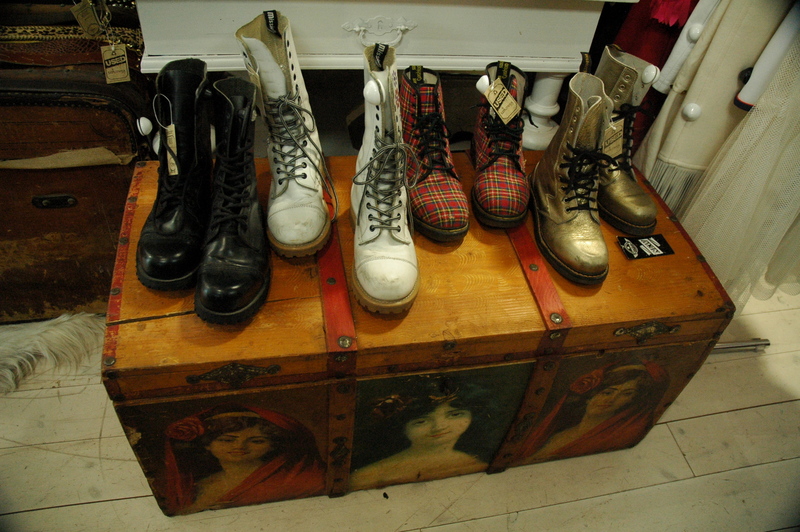 Since it is a vintage shop, it is pricier than chain thrift stores. Oh, the flair! All I can think of is Office Space. Address: Several locations all over Budapest. Opening Hours: Depends on location. Cream is a typical chain thrift clothing store. Similar to Háda and Maggie’s London (shops I highlighted in my other post) in terms of selection and price, you are sure to find something you like. The location I shop at most is near Corvin Plaza. The layout of the clothing is always really well done – many times it is sorted by type and color. Opening Hours: Tuesday – Friday: 12:00 – 19:00. Saturday: 11:00 – 15:00. 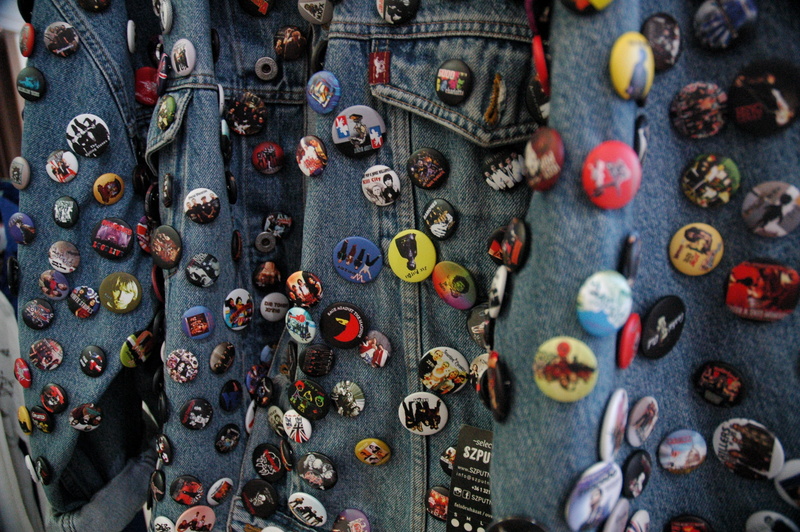 This handcraft and boutique store has a bunch of hidden gems in it. If you are looking for something interesting/random to decorate your flat with, I totally recommend taking a look inside this shop. Although not big, it will take you a while to see everything. Bolhapalota, or “Flea Palace”, is a flea market located near Ferenciek tere. It used to be next to Retrock on Anker köz back in 2013, but has since moved. I actually found this flea market with Carlyn. While walking around a few weeks ago, we saw a grey tarp with “Flea Market” and an arrow drawn on it. I appreciate any and all efforts. When we arrived, we saw an awesome selection of 80s jackets, vintage televisions and typewriters, and discontinued perfume. You can also sell your stuff here too. Contact the shop for more details. If you are interested in old photos, cameras, and camera bags, Soós Fotó is for you. I have purchased four old photos of people I do not know here (one of the few things I collect). Most date around 1900 and cost me 390Ft ($1.38) each. I hope someone random purchases a picture of me 100 years from now. A girl can dream. I hope this has quenched your thirst for now. Feel free to suggest any stores I have failed to mention down below. I am sure someone will thank you later. Since I am moving from Budapest soon, I will no longer be on the hunt for these shops in this city. Cheers! ^ must be a fan. Oh, you’ll love it! Have fun spending your money in one of the best cities ever! Hullo! I hope you still read this every now and then. I thought I was the only creepy persona who purchased photos of people she doesn’t know. I’ve got a nice collection form all over the world nowadays which I started about 10 years ago. Also, I lived in Hungary for a while and I’m coming back to visit in April. I’m thinking of buying a second-hand wedding dress as I love recycling and this would be the best (and cheapest) option for my big day. However, I don’t know where to start. Where did you take that photo from Second Hand Shopping Part I post? Oh no, I am so sorry! I haven’t been on my blog in a bit, but I am hoping to start writing again soon. 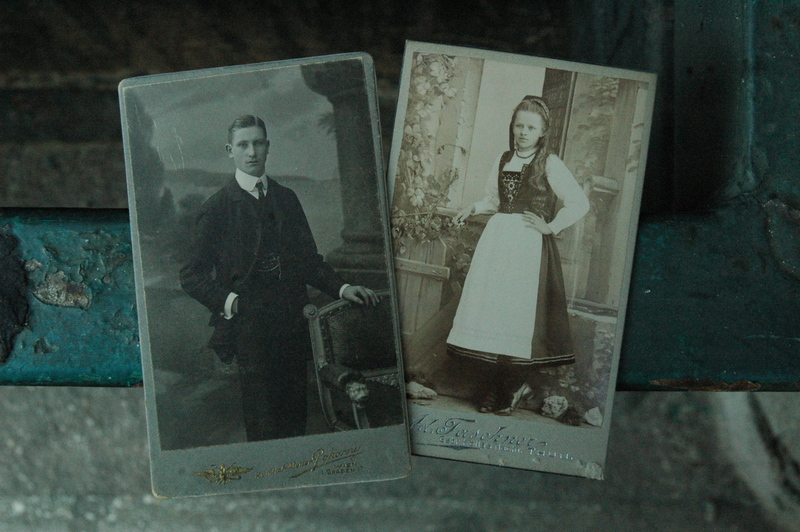 I THINK that the first picture was taken at a second hand store on the corner of Szervita tér and Kristóf tér near Vörösmarty tér. I hope that helps! Good luck!